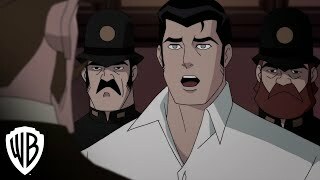 Batman: Gotham by Gaslight (film, 2018). A 2018 American animated steampunk superhero alternate history action thriller film with "R" rating by Warner Bros. Home Entertainment/Warner Home Video. Directed by Sam Liu. Official Trailer. 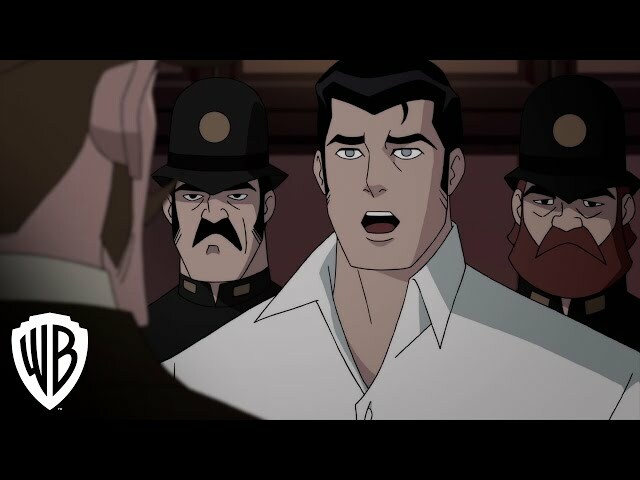 Batman: Gotham by Gaslight is a 2018 American animated steampunk superhero alternate history action thriller film directed by Sam Liu. Batman: Gotham By Gaslight Trailer. In Victorian era Gotham City, Bruce Wayne is operating as the bat-garbed vigilante, the Batman, who is feared by the guilty and the innocent alike. One night, Batman saves a wealthy couple from being robbed by three orphans (Dickie, Jason and Timmy) and defeats their abusive handler, Big Bill Dust. At the same time, Ivy, an orphan turned exotic dancer and prostitute, becomes the newest victim of the dreaded murderer called Jack the Ripper. The murders keep happening night after night. Citizens of Gotham believe the Batman and Jack to be the same man. Stage actress Selina Kyle, a protector of the women from "Skinner's End", berates Gotham Police Commissioner James Gordon and Chief of Police Harvey "Bulldog" Bullock for their inaction in stopping Jack from murdering. Later that night, Selina acts as bait for Jack. It works, but Jack gets the upper hand during their fight until the arrival of Batman. After escaping, Batman asks Gordon to help him bring Jack down. At the Monarch Theatre with his friend Harvey Dent, Bruce meets Selina and the two bond at the Dionysus Club. Bruce realizes that not only were the two of them taken in by Sister Leslie, but that some of the murdered girls were orphans formerly under Leslie's care. Bruce rushes out to save Leslie from Jack but is too late as Jack has already murdered her. At the crime scene, Bruce finds a bloody Dionysus Club pin, meaning Jack has to be one of Gotham's wealthy. At Sister Leslie's funeral, Bruce is met by Hugo Strange, claiming he knows the killer and wants to meet with Batman. Bruce also is met by Marlene, a drunken old woman who claims she saw him sneaking around when Sister Leslie was killed. Bruce's butler Alfred stops the three orphans from pick-pocketing him and offers to provide them work. The film Batman: Gotham by Gaslight was scheduled to be released by Warner Bros. Home Entertainment and Warner Home Video on January 12, 2018 (Newseum), on January 23, 2018 (Digital Download) and on February 6, 2018 (Blu-ray). The duration of the film is 78 minutes. Batman: Gotham by Gaslight got high rating from critics. The audience also likes the film.